Our fretless MINSTREL BANJO is a 19th Century reproduction that we handcraft ourselves out of Cherry, Black Walnut or Curly Maple. They are not museum reproductions, but are a good representation of the era for the re-enactor that likes a playable instrument out in the field in all kinds of weather. 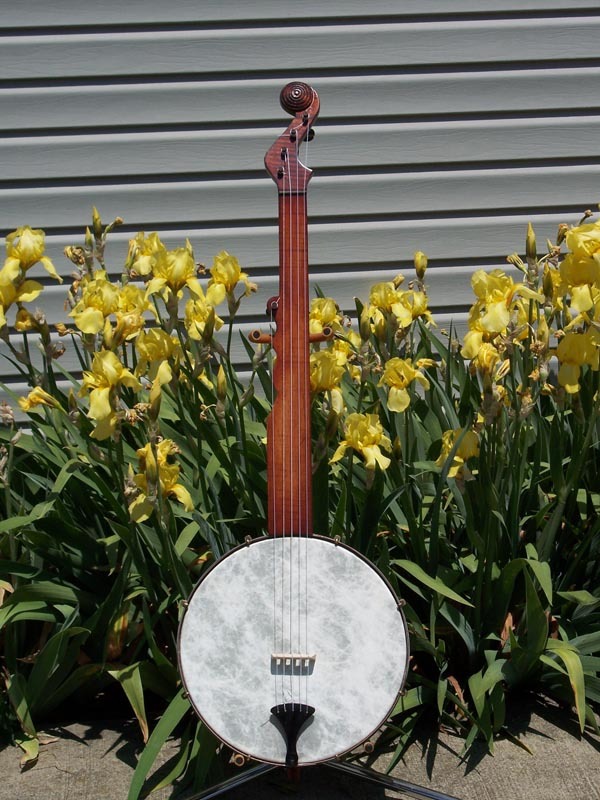 Our DELUXE MINSTREL BANJO in Curly Maple comes with the same choices as the Standard except the pot is laminated Curly Maple capped off with Walnut and the neck is solid Curly Maple with deluxe pegs. BOTH Models come with a William Boucher style neck and headstock with beehive. 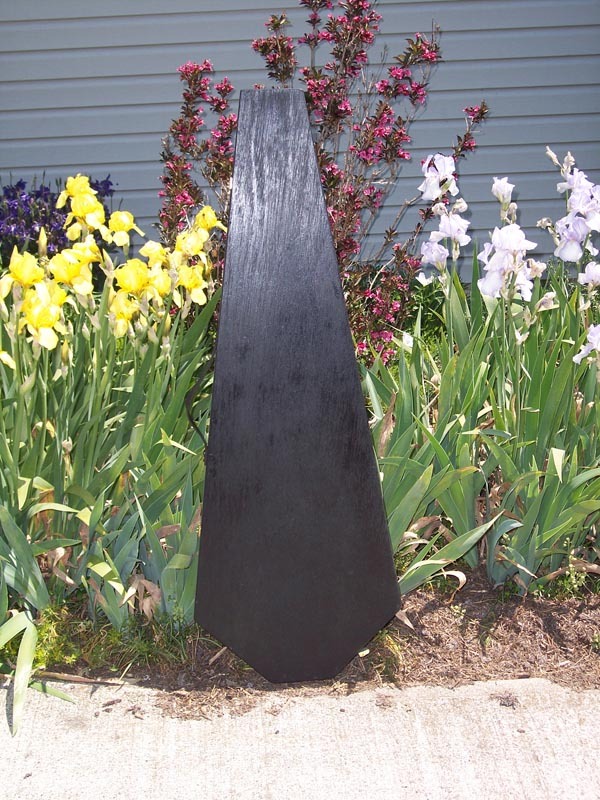 Other styles of necks and headstocks can also be done. To order: Email us with your contact information & request. 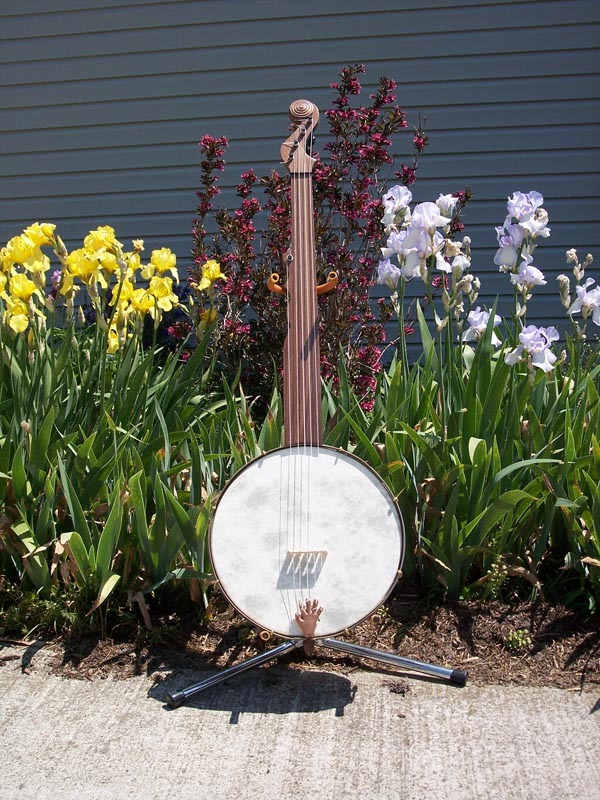 Watch Tim Twiss demonstrate our Minstrel Banjo. You can also purchase just the Indiviual SHOES. 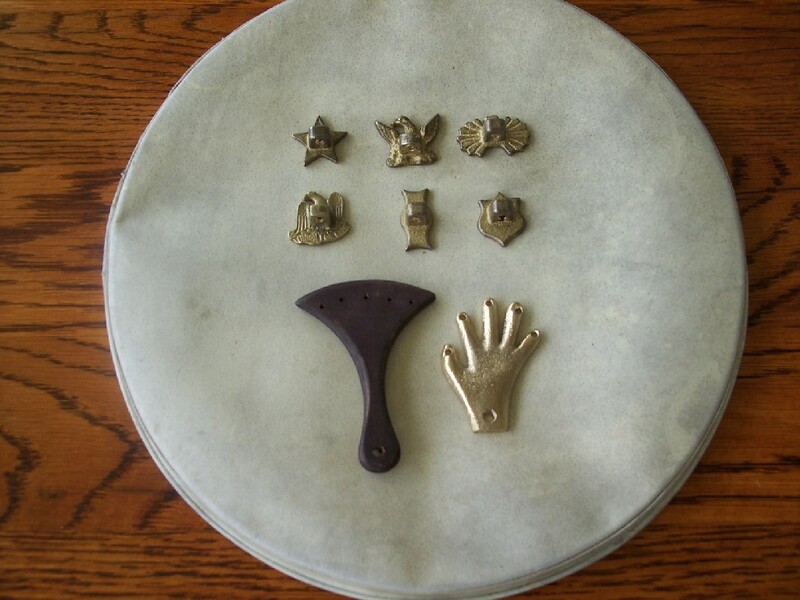 Your choice of Solid Brass shoes in Star, Eagle, Leaf, Bow Tie or Shield priced at $7.50 each. Each shoe is supplied with a 12-24 x 1/2 slot head screw. You can just purchase TAILPIECES from either the Solid Brass Hand or the Hardwood Fan. 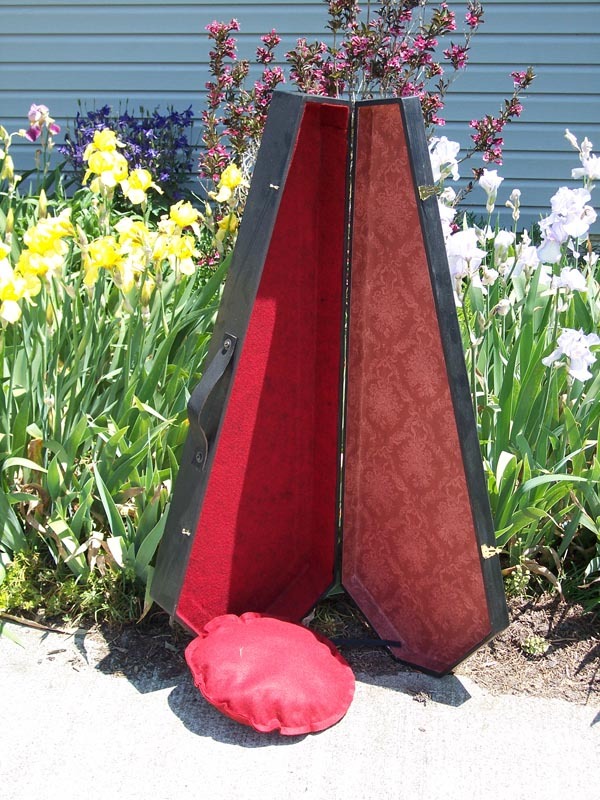 WOODEN COFFIN CASES are made to fit OUR Minstrel Banjos and most Parlor Guitars. They are painted black and have 2 hinges and 2 safety latches. They are lined with Red Wool Felt and Victorian paper. 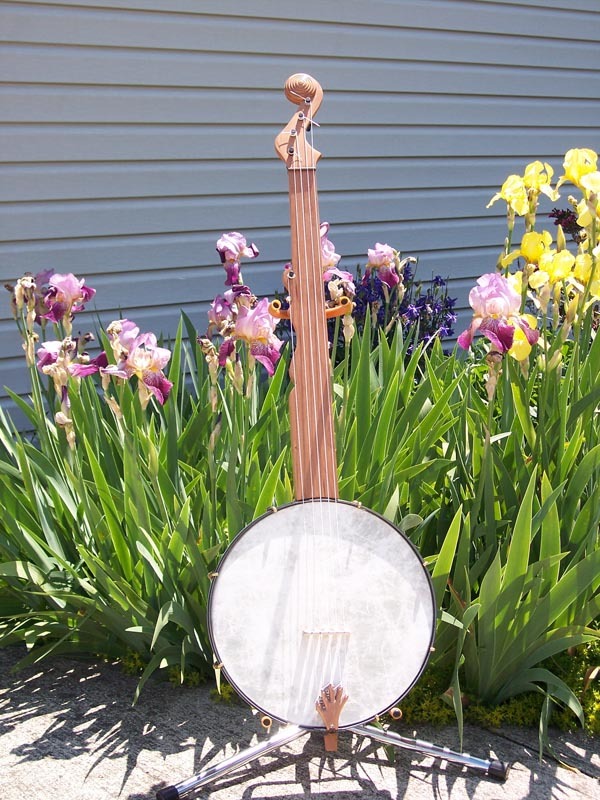 The OUTSIDE measurements are 41" long, 15" at the widest point, and 5" deep to fit a banjo with a 12" diameter pot and a total length of 40" including the dowel stick. We also have padded gig bags available for $49.00. To order, simply use the contact tab, or click here, and tell us your preferences in the comments section.